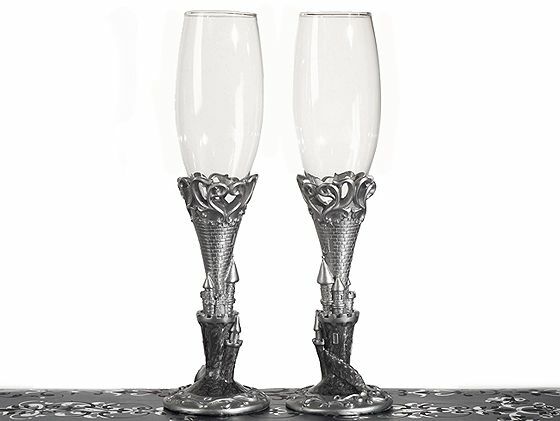 The perfect accessory for your fairytale themed event. From Cassiani collections exclusive platinum castle accessory collection an elegant Castle design cake and knife server set. 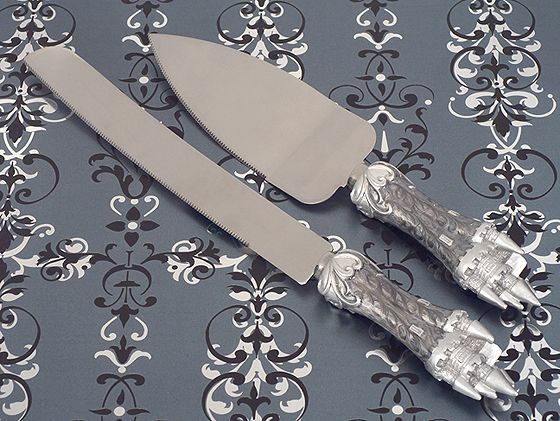 Each of these sturdy stainless steel cake and knife servers are accented with life like sculpted castle design handles and are highlighted in an elegant pewter silver epoxy enamel finish. The prefect touch for your enchanted evening , the cake server measures 10" and the cake knife 12" long and come packaged in beautiful display gift box.